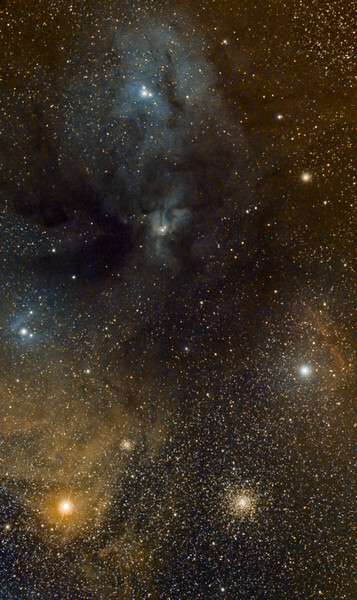 Antares and Rho Ophiuchi complex with globular cluster M4. 18x4minutes ISO 1600 Canon 6d and TS71 f4.9 telescope. Taken by Lynn Hilborn, at WhistleStop Obs,Grafton,Ontario on June 21 and 23,2015.